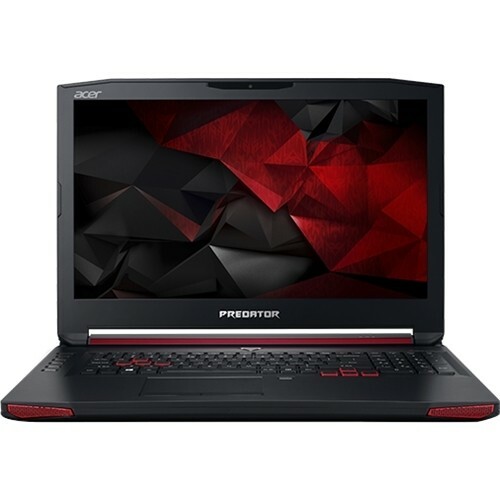 The ACER PREDATOR 17 G9-791-78CE NX.Q02AA.001 is another powerful laptop PC comes equipped with the processing power of 6th Generation Intel Core i7-6700HQ quad-core processor that features 6 MB level 3 cache and runs at the base clock speed of 2.6 GHz with Turbo Boost technology that speed up processing up to 3.5 GHz. It has a dedicated graphics controller called NVIDIA GeForce GTX 980M graphics which is backed by 4GB GDDR5 dedicated video memory and capable of rendering high definition movies and playing latest games with ease. 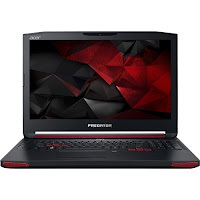 The ACER PREDATOR 17 G9-791-78CE NX.Q02AA.001 laptop PC comes equipped with display features such as 17.3" full HD display with antireflective finish which is used to reduce eyestrain and widens the field of view and 1920 x 1280 resolution. The resolution in this laptop PC is high so it is expected that the display in this laptop is sharp and clear compared to laptop PCs with lower resolution. It comes in black finish for stylish look. 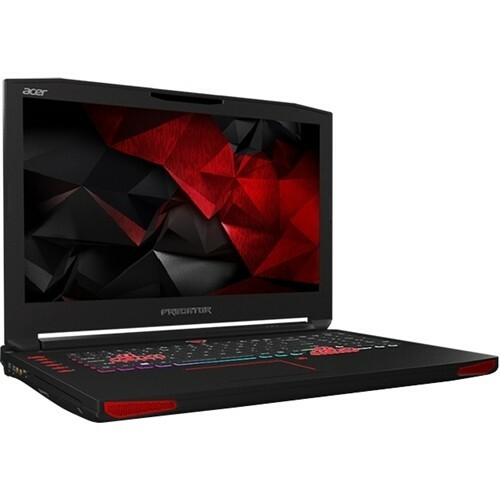 The ACER PREDATOR 17 G9-791-78CE NX.Q02AA.001 laptop comes with 16 GB system memory for advanced multitasking; 1TB hard drive and 256 GB solid state drive (SSD) for a blend of storage space and speed; stereo speakers with subwoofer that features Predator SoundPound 2.1 with Dolby Audio surround sound output; Killer DoubleShot Pro lets you choose which applications get to use your precious bandwidth; PredatorSense software hub that lets you choose advanced customization options for gaming features like keyboard macro profiles for your favorite games and adjustable lighting configurations; Keep cool with Predator FrostCore that allows to keep heat down and performance up; Keep your new rig nice and clean with Predator DustDefender that alternates airflow directions help stop dust from building up, which ensures your high-end components will keep running smoothly; built-in webcam with digital microphone; backlit keyboard for easy typing in dim or dark locations; media reader for simple photo transfer; Blu-ray Disc burner for high-def movies; and a battery pack which will give you several hours of working away from the main source of electricity. In terms of connectivity, this ACER PREDATOR 17 G9-791-78CE NX.Q02AA.001 laptop PC is equipped with Bluetooth 4.1 interface syncs with compatible devices; Gigabit Ethernet LAN; Thunderbolt port for connecting advanced monitors and external drives; Next-generation wireless connectivity; 4 USB 3.0 ports maximize the latest high-speed devices, 1 of the ports with Power-off Charging, to power USB devices, even while the laptop is off; and HDMI output expands your viewing options. The ACER PREDATOR 17 G9-791-78CE NX.Q02AA.001 laptop PC is powered by the new Microsoft Windows 10 operating system. The laptop PC measures about 1.56 in x 16.65 in x 12.66 and weighs about 8.71 pounds. You can have this computing device at the price of $ 2099.99. Other devices in this price range include Dell XPS95504444SLV and MSI GT72 DOMINATOR PRO G-1438.